Bridgeway is not a commercial publisher, wholesaler or retailer. 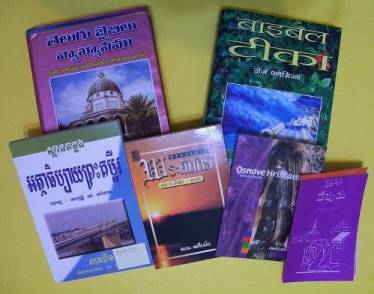 Bridgeway books are published and distributed under licence by other organizations. Many Bridgeway titles have been translated into other languages, however not all titles are available in all languages. The table below displays the translated titles in the various languages and their relevant publishers. This list was updated in April 2015.